Q: Can you share a little about your story with us? A: On the 1st February 2006, my husband, Stuart, arrived home from work and unexpectedly confessed his love for another woman - a married woman whose children were friends with my children. I thought there must be some mistake, a misunderstanding, or perhaps, he was having a midlife crisis. But Stuart spiralled down into depression, becoming obsessed, and my perfect life began to unravel along with his sanity. I spent the following year torn between my own heartache and trying to save him. Every day I treaded lightly, juggling work, children, tears, and threats of suicide. On 24th February 2007, I got the dreaded call. Stuart was dead. His father said, "It's over." But it wasn't over, for me, or for any of us. 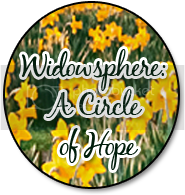 I was a widow at the age of thirty-seven, with two young daughters, aged six and four. Q: What inspired you to write down your story? A: During the traumatic year leading up to Stuart’s death, I kept a journal, a space to simply pour out my pain. After he was gone, I typed up the scribbled tear-stained pages to keep as a record for my daughters so that they would one day know the story. More words poured out as the story expanded until I realized that I had the skeleton of a book. I included all of Stuart's letters and emails leading up to his death. Four years went by as I worked for hours at night, the story growing and evolving as I filled in all the spaces. Writing became an important part of my healing process. 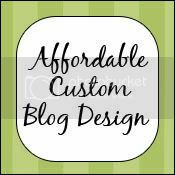 There were many times that I wanted to forget the idea of publishing, but something kept spurring me on. It was as if the telling of my story was as important as putting it out there for the entire world to read. Only after my book was published, and I was forced to officially call myself a writer, did I discover that another part of the process was to find myself. Q: Is there a message in your book that you hope to share with readers? A: To be honest, I tried to keep away from including a ‘message’ in my book, and simply shared my story. I believe that stories have the power to heal, not only ourselves, but others who come across them. Not all stories have happy endings. But the depth that comes from within them, the powerful feeling they leave us with, reminds us that we are all connected. Each of us has our own story, our own heartache and our moments of joy. Mine is a story of love and loss, but also hope. Hope because no matter what any of us have been through, we know that someone else has been through hard times too, and has survived. I have survived. Q: What has been the response to your book? A: I have been surprised by the many positive responses to my book. As I mentioned, it wasn't intended as a book with a message. But books have a way of finding readers who relate to certain aspects of a story. As expected, there have been angry readers too; people who do not understand how I could put up with as much as I did. I can appreciate how they feel. I didn’t plan my story, it simply unfolded before my eyes, and I dealt with it in survival mode on a day to day basis. If I hadn't lived it, I might feel the same way. Whatever emotion the book brings up, I am satisfied that, at the very least, I have done what every writer aspires to, and that is to evoke strong emotions within a reader. In retrospect, I have no regrets. A: After I published my memoir at the end of 2011, I moved to a tiny country village in South Africa where I now live happily with my two daughters and our six pets. I have just started writing my second memoir, a story of life after grief. Q: Where can readers buy your book? 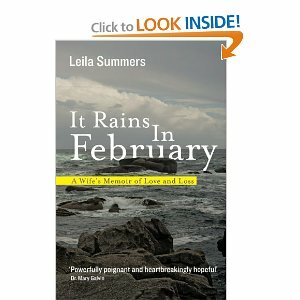 A: It Rains In February: A Wife's Memoir of Love and Loss is free to download on Amazon Kindle today! Visit http://www.amazon.com/dp/B0062EIRAI to get your copy.